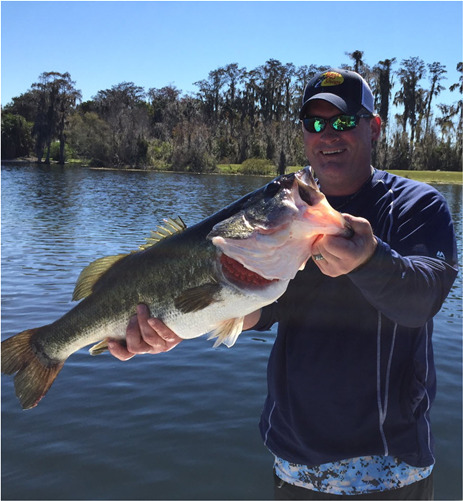 At Camp Mack, a Guy Harvey Lodge, Marina & RV Resort you really are in central Florida! Just 50 miles south of Orlando off Hwy 60. 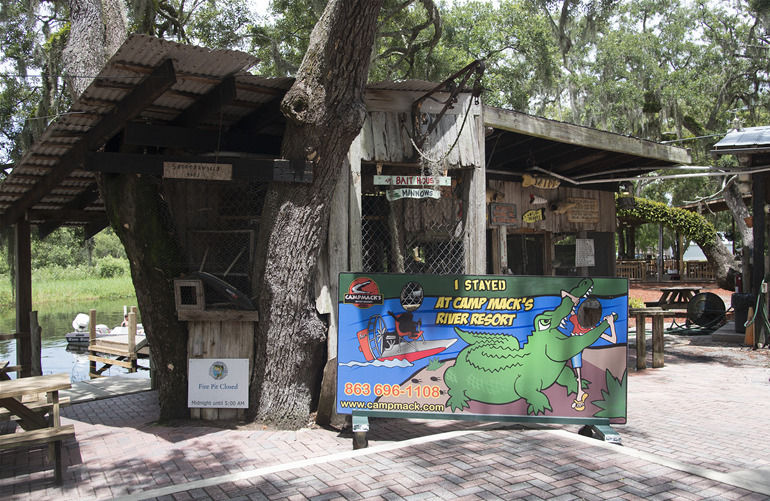 Camp Mack, A Guy Harvey Lodge, Marina & RV Resort has a long history of being one of the prominent lakeside resorts in Central Florida. 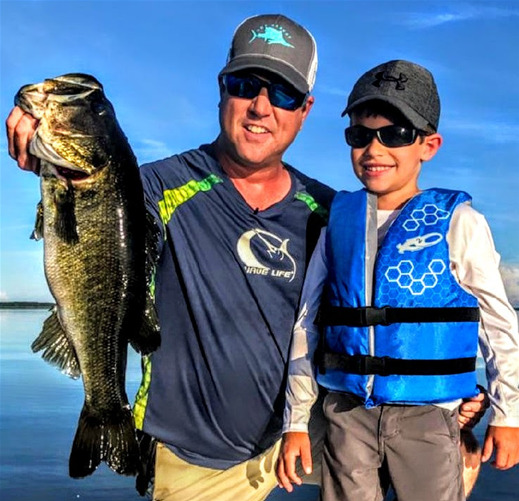 Located on the Kissimmee River, Camp Mack has an active marina, boat ramp, fuel dock, Outfitter Store, airboat rides, boat rentals & famous bass fishing tournaments & charters. If you need an escape to the great outdoors and you are not camper, no problem! We have got you covered with our 40 room lodge, houses and cabins. 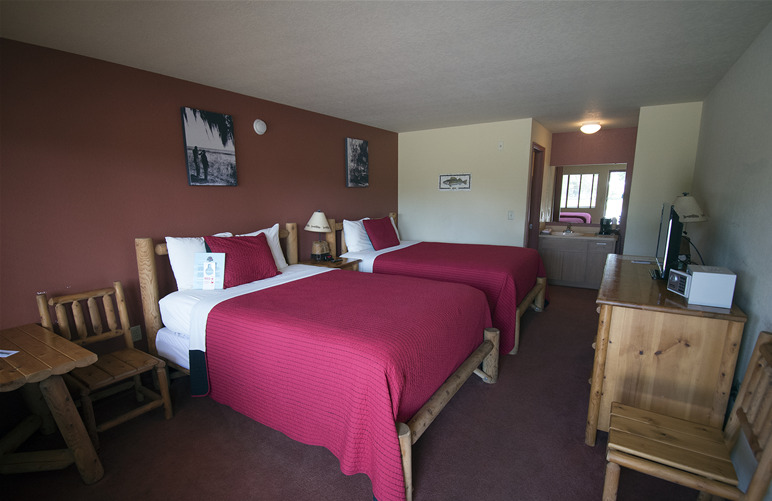 CABINS -For the extended stay guest and families needing some extra room, or for those who enjoy freestyle camping, choose from our selection of Camp Mack cabins, each offering a true camping experience. For your convenience, each cabin comes equipped with a full service kitchen (Fridge, Stove, Oven, Microwave), stocked with all the kitchenware and utensils that you will ever need. RV Camping - We have you covered for all of your RV Camping needs with over 150 RV sites. 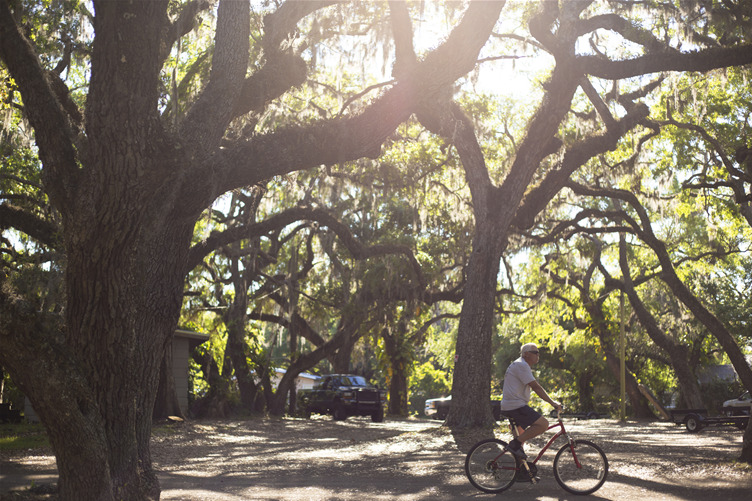 Choose between our lots nestled among majestic oaks or out in the open with clear sunny skies above. Regardless, our lots offer PLENTY OF SPACE for your rig and all the toys you want to bring along. Just roll in, plug in and unwind! 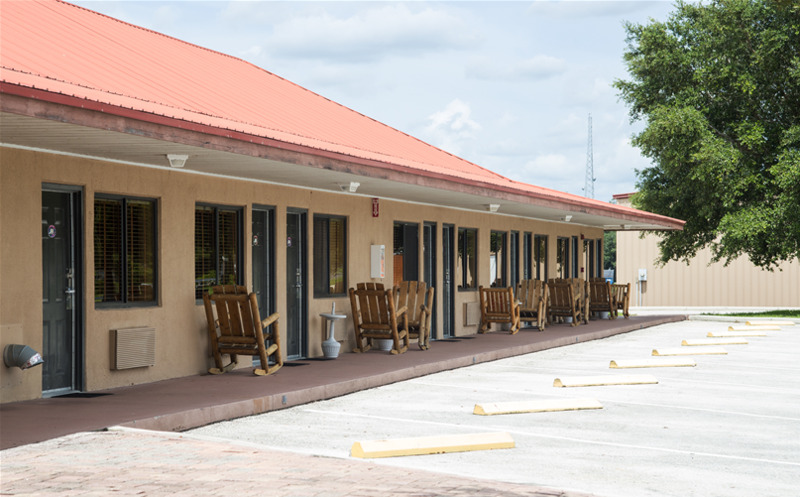 Amenities include laundry room, showers, Club House with outdoor pool, propane gas refill, dump station, Gator Mack's lounge, D & N Food Truck, kids playground & lots of activities. 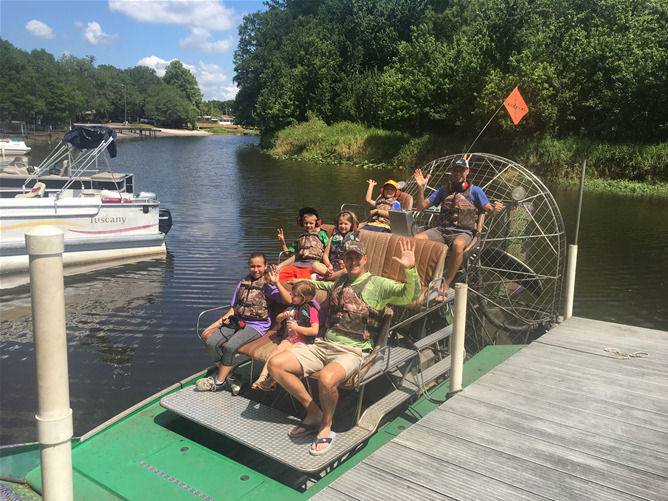 There is a lot to do & enjoy at Camp Mack so we look forward to serving you. 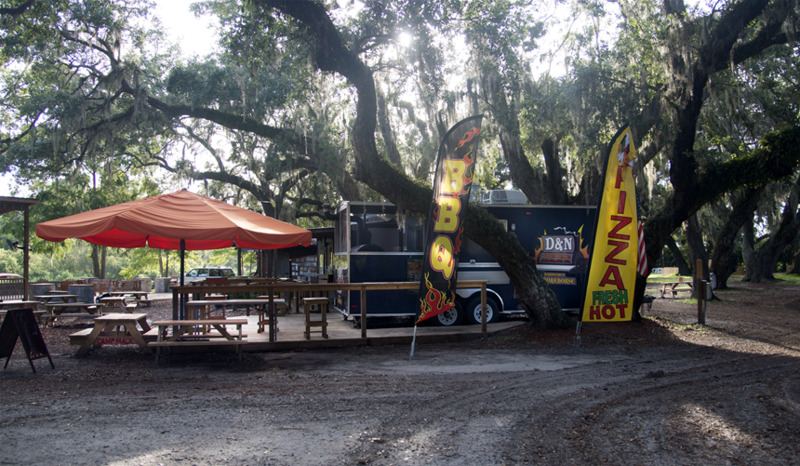 Located an hour south of Orlando and an hour and a half from Florida's beautiful beaches. 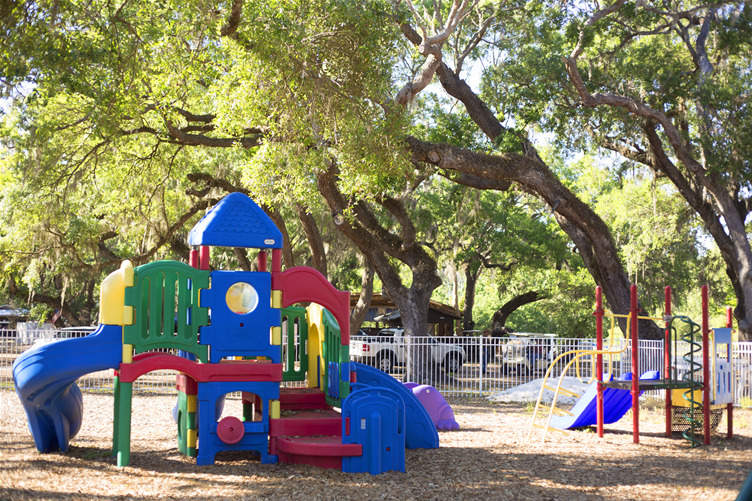 With our full hookups and concrete pad sites, River Ranch is truly a one-of-akind RV destination. 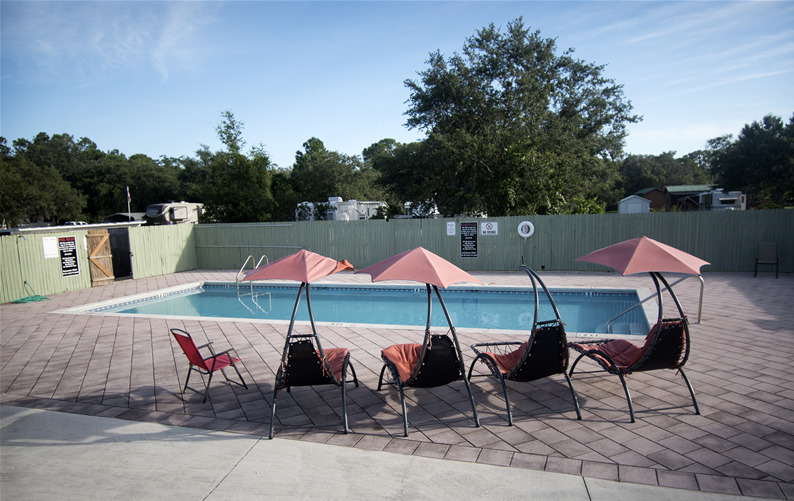 Boasting two beautiful pools and hot tubs, tennis court, bocce ball, shuffleboard, horseshoes and 3 rec halls, this is the perfect place for your next RV outing. Centrally located close to stores, restaurants and golf. Our community has a lake, heated pool, jacuzzi, clubhouse, billiards, shuffleboard, horseshoe pits, laundry room and Wi-Fi (available in the clubhouse). We also have RVs for rent weekly, monthly or all season. Enjoy our very active social community. 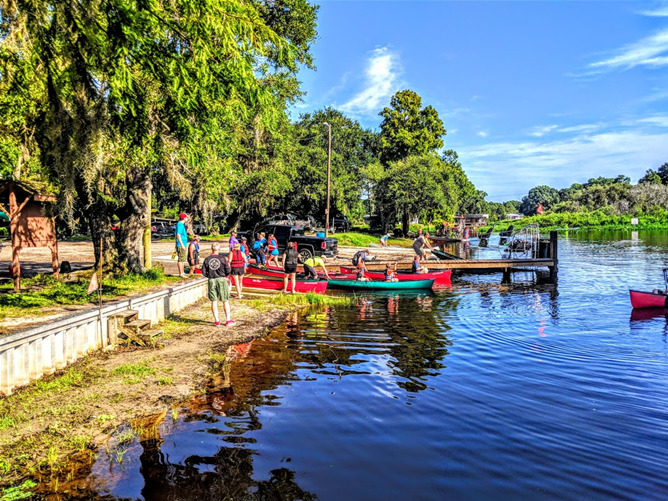 Bring the whole family for the ultimate Central Florida getaway! With a fantastic location only an hour away from the irresistible attractions in Tampa and Orlando, you’ll be surrounded by the best of the Sunshine State! Featured amenities include a heated swimming pool, horseshoes, shuffleboard, bocce ball, planned activities like theater nights, crafts, bingo, pancake dinners and more. 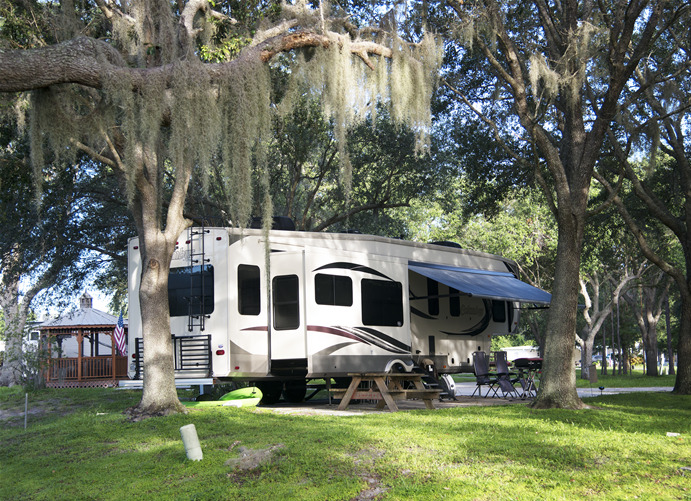 Experience small town charm, but near exciting attractions at Kissimmee South, one of the coziest RV resorts close to Disney World®! This age-qualifed resort features three catch-and-release fishing ponds, a challenging miniature golf course, heated swimming pool, shuffleboard, horseshoes and planned activities that include campfire socials, movie nights, bingo and potlucks.